News and children's channels will be moving places on Freeview this September, as plans to extend the range of channel numbers reserved for general entertainment channels, postponed from 2012, are put in to place. As confirmed by platform manager Digital UK, news channels will start at Freeview channel 130 and children's channels will start at channel 120 following the changes on the afternoon of Wednesday 3rd September. Viewers will see on-screen prompts advising of the changes leading up to the retune day. The BBC Red Button service that is now on channel 301 will move to channel 601 on that date as well, as part of a move to increase the number of channels available on YouView, which shares the Freeview channel numbering system. 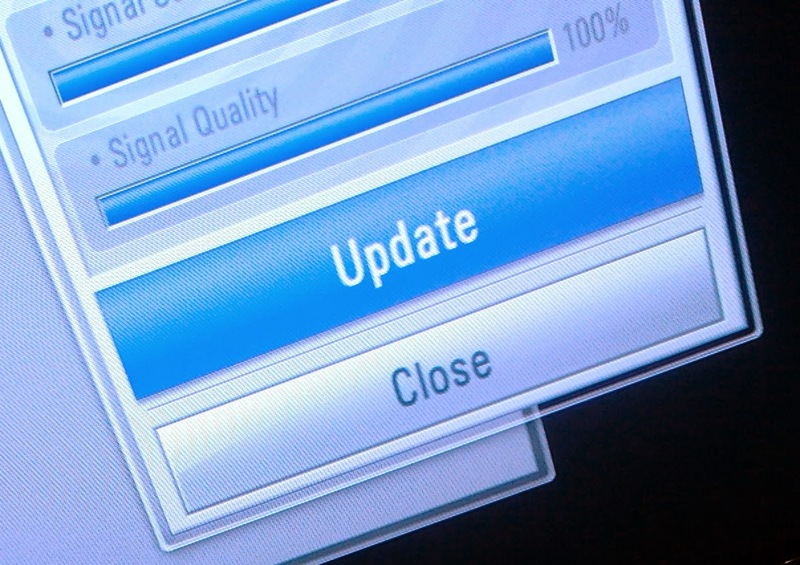 Many viewers with Freeview TVs, PVRs and set-top-boxes will need to retune on that date, although some devices are now on the market that will handle channel changes automatically. The move creates more space for general entertainment channels, which have recently been increasing in number thanks to the creation of extra slots on the local TV multiplex, plus additional capacity being set aside on national Freeview multiplexes. ^ originally on air in Manchester only on channel 76, but with a nationwide placeholder added on 1 Sept on channel 76 ahead of its move and launch on 136. Digital UK says "Viewers who don’t retune will not lose channels – services will remain accessible at their old numbers. However, Digital UK and Freeview recommend viewers retune from time-to-time to ensure they have access to all available services in their area." Retuning will enable viewers to be ready to receive new services including CBS Action (channel 90) and ITVBe (channel 26) and continue receiving Quest+1, Kiss, Kerrang and Magic following a frequency change. Some viewers in Gloucestershire, Herefordshire, South Lake District and South Yorkshire and Chesterfield may be affected by engineering work on the 3rd September that may require some viewers to retune to continue receiving BBC channels. Digital UK's predecessor DMOL had wanted to make the changes to Freeview news and children's channel numbers back in the autumn of 2012, when it made changes to the location of HD and adult channels on Freeview, but an appeal from BSkyB on behalf of Sky News put the move on the back burner. Digital UK had said that it would implement the changes 13 weeks after channel 65 was allocated. Channel 65 was allocated to TBN UK earlier this year, although it didn't actually appear in the guide until recently. Channel 66 was then assigned to CBS Reality, which launched on Freeview on 1st April. Technically, this should have meant the changes to children's and news channels should have taken place earlier this summer. However, Digital UK avoids changes to Freeview channel numbers during major news and sports events. A September reshuffle moved the channel changes out of the way of the World Cup, Wimbledon and the Commonwealth Games. In a minor change to the originally proposed allocation, the information from Digital UK confirms that children's and news channel sections will start from a round channel number (120/130), rather than 121/131, as originally indicated. The change to BBC Red Button, which sees it moving from channel 301 to 601, was tagged on later after YouView requested it's channel number allocation of 400-599 be extended by another 100 channel slots. YouView shares the Freeview channel numbering system, but needs a range of channel numbers to allow BT and TalkTalk to insert channels on YouView. BT or TalkTalk YouView viewers will shortly see these channels between 300-599 instead of between 400-599, as is currently the case. This is an update to the article first published 22/04/2014. Last revised 01/09/2014. Would be good if they moved the adult channels further down away from the kids channels - although never broadcasting at the same time and encrypted stlil not great having them just a handful of channels down from the kids genre. Also considering recent launches it's surely quite possible that they'll get to channel 69 before the retune so where would the channels go then - the 90s? We all know putting the shopping channels in their own genre is the sensible solution - maybe time for Freeview channels to push that again now there is one less company to argue against it. Hopefully they will see sense and move the HD news channels to the news section?! Indeed, that would be very sensible and may well increase their visibility. No date for a Freeview launch has been announced, nor any details about any distribution on Freeview. Regular visitors to the site will know that when more is announced, it won't be long before it is mentioned. James, you appear to have asked Sony TV the same question on their Facebook page. If they can't provide any information publicly, then it's unlikely I can. This is just a numbers reshuffle is it? I was just thinking that there is an opportunity here to move the two sd channels on COM7 over to the commercial muxes and wondered if it might be on the cards. There's been no indication thus far that the changes will involve multiplex changes, although I'll update the information on the site if that does happen. COM7 is a commercial multiplex, and so broadcasters who only want enough bandwidth for SD and don't want to/can't afford full UK coverage, it's a good option to secure Freeview carriage.